What’s your favorite plushy? Do you have a teddy bear that has seen you through thick and thin? Do you cuddle with your stuffed animal at night or quietly slip him into your backpack so he’s with you at school? For a daddy to an adult baby or little boy, a plushy, and especially that ONE plushy from which your little guy is rarely parted isn’t a toy, it’s a very special companion and important part of his life. Seeing a little guy toddling into the living room with his paci in his mouth, his silkie or blanky in one hand, and his plushy in the other held lightly by an ear or paw, my first instinct is to think that all of those things are like emblems that he feels safe expressing who he is inside. But I’ve come to realize that a plushy isn’t just a way for him to show that he feels safe and loved in daddy’s care, but that his plushy is his constant companion, his friend, and is something that he’s invested a great deal of his tender heart in caring for and being with. For a little boy, his plushy has always been there for him – or, at least, he can barely remember a time when that wasn’t true. In fact, his plushy may have been there before daddy came into his life. And so his plushy has been with him in moments of loneliness and anxiety, discovery and joy. Late at night, he has held his plushy and whispered secrets to him. And his plushy has whispered back. I mean – have a look yourself, because many daddy’s don’t take the time to do so: to look into the eyes of the teddy bear or doggy, and to see the expressions, the emotions and the personality of your little one’s special friend. If you do look, you’ll see that your little one’s plushy surely has stories to tell, a life its lived and that more than anything it might know parts of your son’s heart that you’re still slowly discovering. Just as you need to care for your little one, give him safety, provide a sense of trust and love – the adult baby in your life has probably given a sort of care to his plushy as well. Maybe he’s even diapered his teddy bear. Or at the very least, he’s given it the sort of snuggles and warmth that you now give to him. 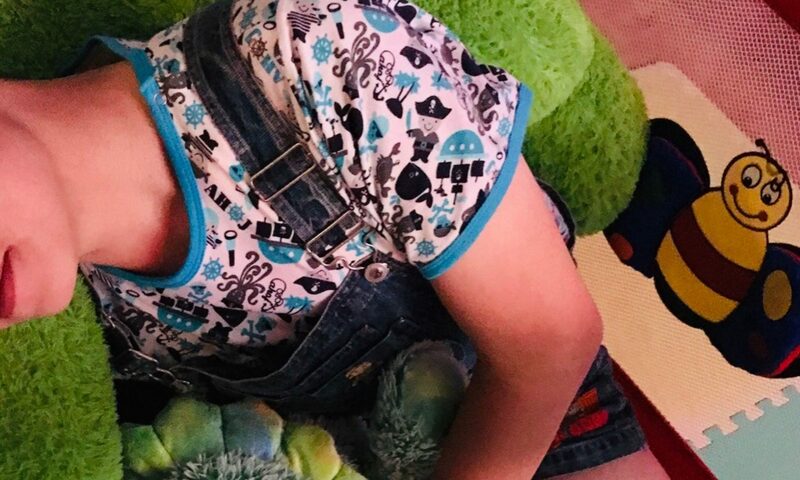 Those circles of care – of you looking after your little boy and he looking after his plushy, are a wonderful affirmation of the care you all give each other. 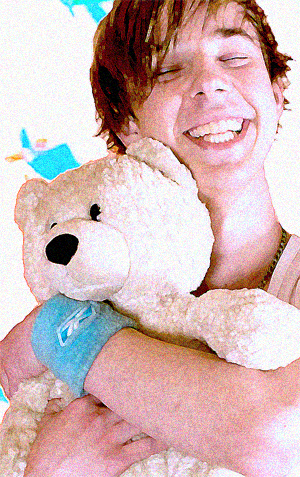 And the answer, in so many ways, is held in a little guy’s plushy. Because a daddy receives gestures of care and love in so many deep ways – just like a little boy will stroke his plushy and know that his teddy bear is feeling safer and more loved, a daddy is rewarded a million fold from those quiet gestures of love and attention. What’s the special companion in your life? Is it a teddy bear or doggy? Has he or she been with you through thick and thin? Does it have stories to tell? Do you go on adventures together? And for those of you who would like to share with daddy, send me a photo of your special plushy or companion and I’ll try to post them so the world can see how special you are for having such a wonderful friend in your life. (My e-mail is listed on a banner on the right side of this site and I keep all e-mails confidential). I do have many, but i do have that special one. A green dragon named Drakey. He was given to me by a special person years ago and i haven’t forgotten about it since and now Drakey protects my room from scary things and keeps me safe. i wike my bwankie and i have two favorite bears. i also have a cookie monster plush and blues clues plush toy. they all make me smile, but my most favoritist bear has been wif me all the time when i’m happy or sad or giggly or sleepy…he knows i’m widdle. wow, what a sweet reflection. Yes, I have Mikey, my buddy bear, he is diapered and with me constantly. I am sad when I leave him in the morning pretending to be a big boy and happy when I get to hug him as I come in the door. He could tell lots of stories and he makes the Velveteen Rabbit look like a new toy at this point. Thanks for naming so many of the things that are a part of the relationship between me and Mikey. I read it to him and he agrees. I have a very special polar bear plushie – named Merci – my daddy got me during our first outting to the zoo 🙂 He is the closest thing I have that reminds me of daddy when we aren’t together. I have a giant teddybear Mr. Jeffry. Hes as big as i am. I carry him around and we watch cartoons together…he plays video games with me too. I love to sleep in him sometimes when I forget where my pillow is hes very soft and he likes it when i sleep on him too cause he can see my dreams. Also i have Norman. Hes a bit smaller and easier to take places with me. He rides in the car with me and I take him places in my bag. Hes a monkey and he loves to have fun and is as curious as I am. Hes actually in my locker right now cause Im at work. *writing from my phone*. I will post pics when I get home. I have a curious george monkey that I carry around sometimes with me. He keeps me safe when I’m alone. When we take road trips we are both buckled in cause george can’t afford a ticket no more than me. My partner thinks the whole baby thing is strange so I hide it from him, he would probaly flip if he knew I was still babying myself. I have another plushi named blue eyes purple tie, he’s a bear that is very dear to me I have been holding on to him since I was a we little thing in the world about three so for about 21 years he has been part of my baby life. I got a little brown bear i got a long time ago from an old family member i was to young to remember it i cherish it and i named him bearey. I got a build a bear on my girlfriends birthday. I named him joshy and hes soft and white. i try to sleep with him every night its hard to sleep when hes not there huging me . I was in middle school when i got joshy. I have a bear named Rupert. I bought him for myself about 3 years ago but it feels like I’ve always had him. He knows all my secrets and has been through a million hard times in the last couple of years. I think I would get more broken up over losing him than an arm.. maybe. I have a golden lab named Lassie she is very sweet and does not bite my teen baby playmates I also love here cause she protects me from the scary monster under my crib and in my room she also scares away the mean old potty monster. Also I believe stuffed animals do have a life of their own. Even though they are defined as “non living” I still feel a connection to my bunnies. I’ve only found them recently again but they still have the same spirit in them from a long time ago. I think that spirit never dies. I hope I can find my bunny spotty I have an idea where he is. If I can’t find him I just hope he is in a better place. Dis is a hard one. I have had my tedy bear seance I was a lil boy. i was in the hospital one time at age seven and he went with me I even have an x-ray of him. I am now 40 and I still have that bear. I cant get rid of him he was there when I needed him and I will always be there for him. Fuzzy Wuzzy is the name of my teddy bear…. He is really cute and I make sure that I cuddle with him evrey nite as I listen to my lullabies and use my yellow star paci…. I just cannot have a night without him…. Mabey one day I cna share this joy with somebody else. You always write so good abdldaddy…..
Next PostNext Your Favorite Plushies!